Even as the current contract expires, University of Illinois continues to evade real questions. The 10-year-long exclusive contract between University of Illinois and Coca-Cola formally ended on June 30, 2007. Despite a strong opposition to the contract from students, faculty, staff and the community, and Coca-Cola's refusal to take responsibility for violating human, labor and environmental rights, the U. of I administration chooses to remain silent. For the past 2 years the Coalition Against Coke Contracts (CACC) has organized a campaign against the exclusive contract with Coca-Cola. More than 25 groups in Urbana Champaign including academic departments, student and community organizations have endorsed the campaign. CACC organized 'the last day of contract' action on June 29, 2007 that was well attended. The attendees sampled locally produced beverages and rated those as they enjoyed Paul Kotheimer's innovative performance on various ways to remove Coke machines. The coalition delivered a collective letter to the Chancellor. Urging the university to break its silence, the letter says, "Until we can successfully rid Coca-Cola and its subsidiary products from this campus, the atmosphere which condones the abuses of multinational corporations will fester." In his response to the action, the chair of Licensing Advisory committee Bill Adams said that the administration has no clear information on what kinds of beverages will be available on the campus from July 1st. 1. Do not get into a contract with Coca-Cola, whether exclusive or otherwise. 2. Issue a public statement on the beverage contract for next year. 3. Issue a public statement highlighting Coca Cola's reticence to address serious concerns regarding its business practices. 4. Issue a public statement on the University's commitment to ethics in the business dealings.And here is the rest of it. Read more! Coke Outta UIUC! Read more! La Casa Cultural Latina at the University of Illinois has removed the Coca-Cola vending machine as a response to student concerns about Coca-Cola's history of labor abuses in Colombia and environmental degradation in India. The Coalition Against Coke Contracts supports La Casa's decision and urges other University departments, cultural houses, and programs to request the removal of Coca-Cola vending machines on their premises. Read more! "A ROW over pay will see hundreds of workers at a soft drinks' distribution centre in Wakefield balloted on strike action. Hundreds of staff at the Coca-Cola distribution centre on the 41 Industrial Estate are to be balloted. Union leaders have today warned that if their members at the site opt to take industrial action, it could have a "devastating effect" on supplies of Coca-Cola and other products to shops, supermarkets, pubs and hotels across the UK." Click on the title to read more. Read more! New Delhi, India (June 4, 2007): In a shocking finding, another Coca-Cola bottling plant in India has been found to be operating in complete violation of environmental laws and regulations in India. A fact-finding team led by the India Resource Center to a Coca-Cola bottling plant in Sinhachawar in the state of Uttar Pradesh issued a report today detailing the violations. 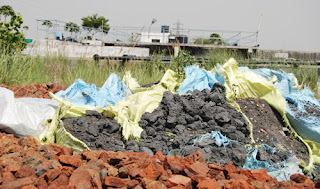 * The plant is indiscriminately dumping its sludge, considered to be industrial hazardous waste, across the plant premises, in complete violation of the laws regarding handling and disposal of industrial hazardous waste in India. * The Effluent Treatment Plant was non-operational, and the bottling plant was discharging its wastewater into surrounding agricultural fields and a canal that feeds into the river Ganges. * The plant did not disclose the amount of hazardous waste being used and generated, as required by the Supreme Court of India for all industrial units in India that deal with hazardous waste. Such careless disposal of the sludge and the wastewater results in the pollution of the agricultural lands, local water supplies as well as the food chain. At stake are the very lives and livelihoods of thousands of people who live around the bottling plant premises, who are primarily farmers. The findings are particularly disturbing because the Coca-Cola company has had ample time to align its operations in India with environmental rules and regulations, and it has been rapped for similar wrongdoings before. In 2003, the Central Pollution Control Board (CPCB) of India assessed the sludge at eight Coca-Cola bottling plants, and found them all to contain excessive levels of lead, cadmium or chromium. As a result, the CPCB ordered the Coca-Cola company in India to treat its waste as industrial hazardous waste, and deal with it accordingly. The British Broadcasting Corporation (BBC) also tested the sludge around the Coca-Cola bottling plant in Plachimada in Kerala in 2003, and found it to be toxic. The Coca-Cola company was distributing the toxic sludge to farmers as ‘fertilizer’, and was ordered by government authorities to stop the practice after the toxicity of the sludge was confirmed. The BBC report found that the toxins from the sludge had polluted the groundwater. The bottling plant in Sinhachawar is a Coca-Cola franchisee owned unit operated by the Brindavan Bottlers Limited, which is owned by India’s largest bottler of Coca-Cola, the Ladhani Group of Companies. The fact finding team, which included twenty residents from the village of Sinhachawar, also heard complaints of illegal land acquisition by the bottling plant as well as the drying up of water wells and hand water pumps since the bottling plant began operations. “The Coca-Cola company is announcing to the world that it is an environmentally responsible company, and it has partnered with UN agencies and NGO’s to paint a pretty green picture of itself. But all that is corporate social responsibility gone wrong because the reality on the ground is different. It is littered with toxic waste and a complete disregard and destruction of the way of life as many people in rural India know it,” said Amit Srivastava of the India Resource Center. “Coca-Cola’s track record in India is indicative of an arrogant company that operates with impunity,” said Srivastava. The Coca-Cola company’s operations in India have been challenged by various communities across India who are experiencing severe water shortages as well as polluted water and land as a result of the company’s practices. The Coca-Cola bottling plant in Plachimada, one of the company’s largest in India, has been shut down since March 2004. The local campaigns to challenge Coca-Cola in India have found tremendous support internationally, and particularly among college and university students in the US, UK and Canada. Just last week, the prestigious Smith College in the US announced that it will no longer do business with the Coca-Cola company because of concerns in India, ending a five decade relationship with the Coca-Cola company. Over twenty colleges and universities have taken similar actions. The Central Pollution Control Board has been asked to investigate the pollution at the Sinhachawar bottling plant immediately, and other agencies dealing with water and land have also been asked to intervene in the matter of the offending Coca-Cola bottling plant in Sinhachawar. The fact finding team has recommended that the Coca-Cola bottling plant in Sinhachawar be shut down immediately to prevent any further damage to the community and the environment. For more information, visit India Resource Center Read more! “After a two-year study into Coca-Cola's alleged environmental and labor rights violations, Smith joins 40 colleges and universities nationwide that have barred Coca-Cola from campus. 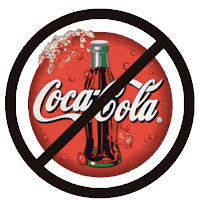 The list of colleges banning Coke includes Hampshire College (which booted Coke in 2006), Simons Rock College in Great Barrington, New York University and Rutgers University. In the letter, Christ cites poor business practices in Colombia and India as reasons why the college has decided not to renew Coca-Cola's contract. “The Soft Drink Advisory Committee 'looked at the prevailing concerns over the corporation, their environmental practices in India and their labor practices in Colombia, and we decided that what's being said about Coke is right and true,' said Kristen A. Cole, media relations director at Smith.” Read more! 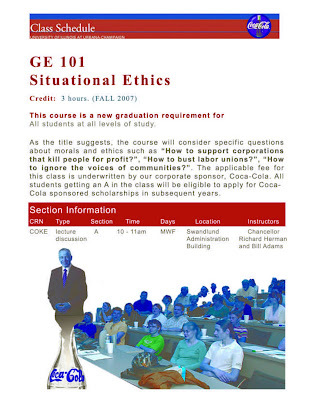 Coke Claims to be a good corporate citizen Read more! June 6th, The Sydney Morning Herald reported: "Employers led by a Coca-Cola executive [Ed Potter] stopped the International Labour Organisation examining violations of workplace rights in Colombia..." Click on the title of this post to read more. Read more!